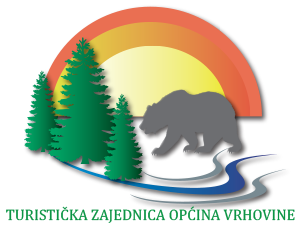 ”Beware of Bear!” zip line is the longest zipline located in the heart of the Lika region, in the Municipality of Vrhovine, within the Bijeli Vrh Sports Center, in the close vicinity to the Plitivce Lakes National Park. We cannot influence what you dream about, but we can make you feel as if you were flying. 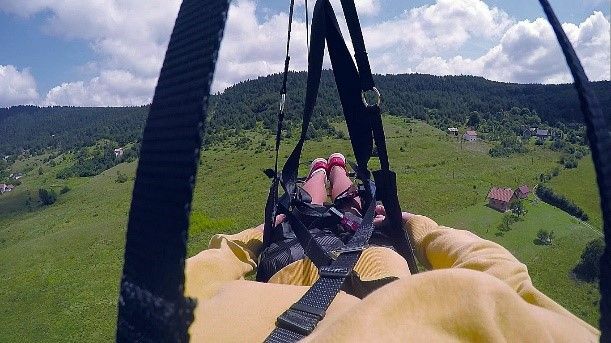 Imagine being 80 meters above the ground and flying 120 km/h for 2 km along the magnificent scenery of Lika below you. A total length of the cable is 1,700 m which makes it the longest zip line in Europe. At the Bijeli Vrh Sports Center, at the last stop of the zip line, there is an artificial rock climbing wall for sports climbing. The climbing wall is suitable for children above the age of 5, as well as for professional climbers, thus anyone can find something for themselves. All you need is comfortable sportswear (clothes and shoes) and some enthusiasm and you are ready to go. The Center provides all necessary equipment for safe climbing, while its professional staff are ensuring your safety. 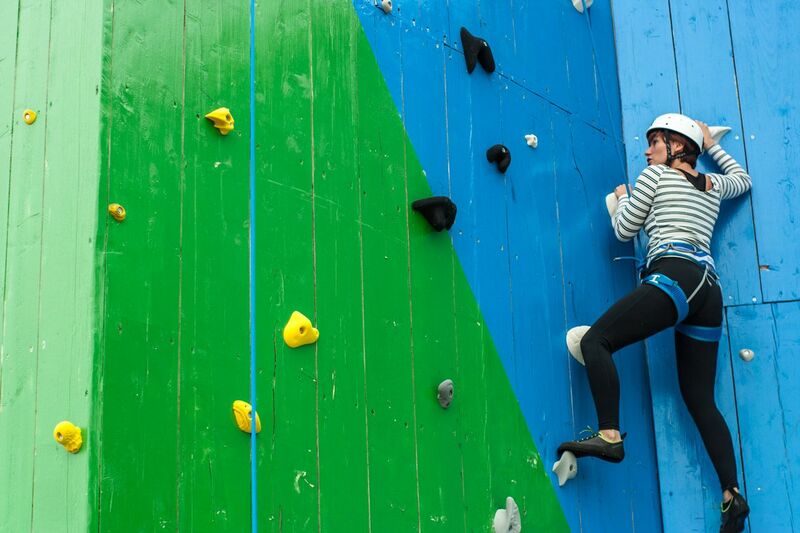 The climbing wall is 8 meters tall, with a total surface area of 54 m2, including the three separate climbing lines. 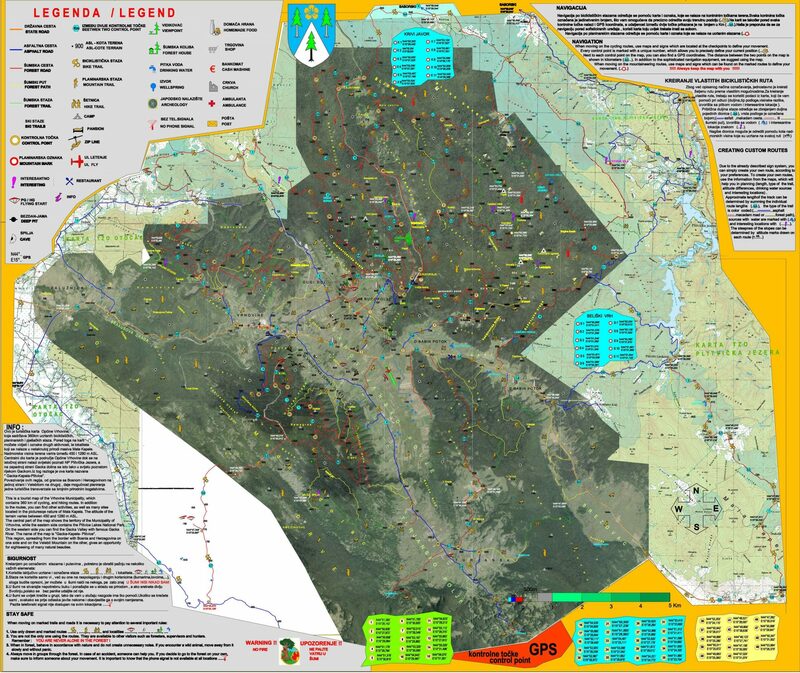 At the Bijeli Vrh Sports Center, you can also rent a bicycle and explore 150 km of the marked trails across the beautiful landscape of Lika´s untouched nature and dense forests of the Mala Kapela. Whether it is about an easy family ride or a bicycle race, an unspoiled nature of Lika is an ideal area for touring around. Bicycle riding is one of the most effective forms of recreation because it activates all the groups of muscles, while half an hour of cycling per day only significantly reduces the risk of heart diseases and quickly restores up to 20% of your energy. 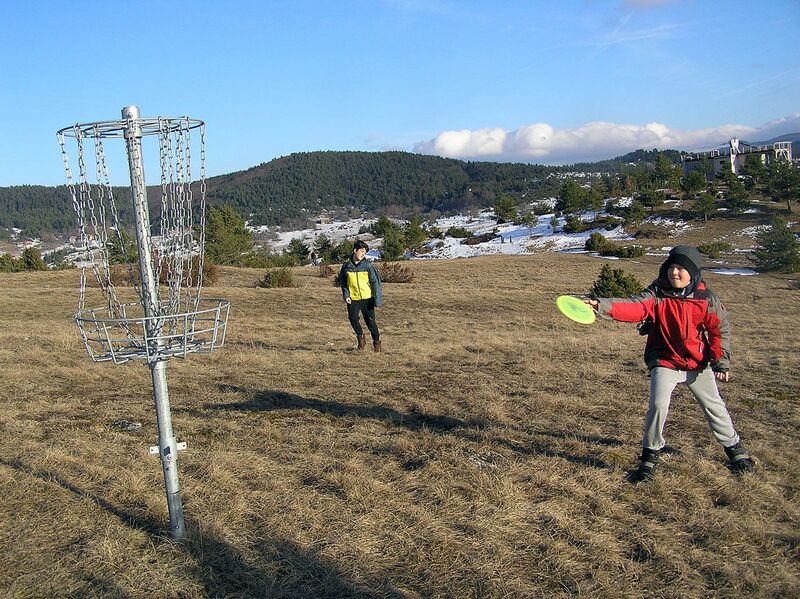 Disc Golf is a relatively new sport which combines two well-known sports, golf and flying disc – frisbee. To play the game, flying disc – frisbee has to be put, in the fewest number of throws, into the specially made baskets. For Disc Golf, you do not need any special equipment, while you can play it alone, in pairs or, for fun, in a team. Disc Golf is designed for anyone, amateurs or professionals. In the beautiful natural surroundings, there are a total of 18 basket targets set up. The distance between the baskets ranges between 80-150 meters, and you can approach the zones by walking, running or riding a bicycle. The choice is up to you. 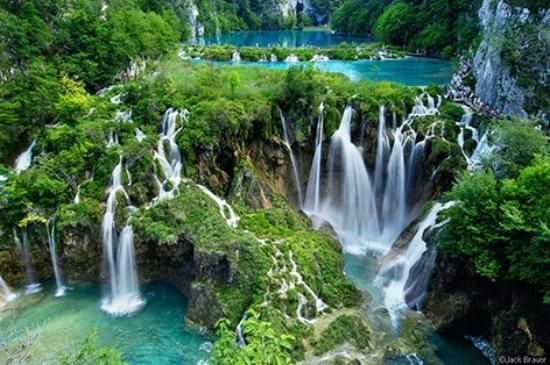 The Plitvice Lakes National Park is by far the largest and most visited Croatian national park. It consists of 16 lakes, divided into the upper lakes (12 lakes), from which the water through the sparkling caskets and waterfalls pours into the lower lakes (4 lakes). Beautiful forest scenes, as well as the turquoise colors of Plitvice waters, where there are many species of fish, will delight even the most demanding tourists on a visit to this natural jewel. Nearby, there are the Barać caves featuring an exceptional wealth of cave fauna. The Gacka River is the third meandering river in the world. The waters of the Gacka River are extremely pure and rich in oxygen and abundant with sea trout, thus the river is a major stand of fishermen for trout fishing. There are the two largest springs of the river, which are the Tonković Spring and the Majerev Spring. 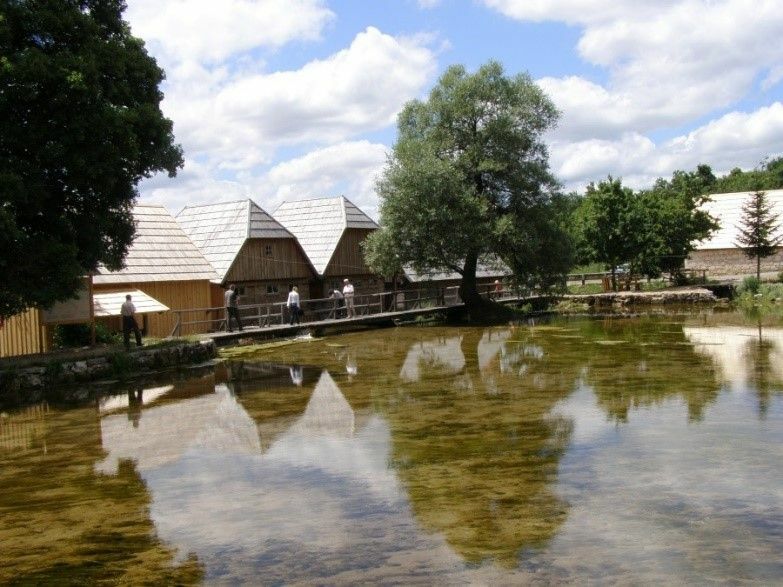 From the small place of Sinac, Gacka calmly meanders through the fields at the same temperature in winter and summertime, which is why this river is popular for trout and why trout is yet another famous dish in Lika. The river’s springs have a pond shape and are very picturesque. There are many old wooden mills on the springs, some of which have been recently renovated and decorated in the traditional style. Do not miss it!